Located in the heart of Orlando, Thornton Park offers the nightlife of Downtown along with some of the top restaurants in the area. Condominium living is the great option along with single family homes with walking distance to beautiful Lake Eola, Orlando’s Farmer Market’s and all major events in the Downtown District. Wonderful trees line the streets for a feeling of tranquility amongst the city life. Easy access to 408 Expressway and I-4. 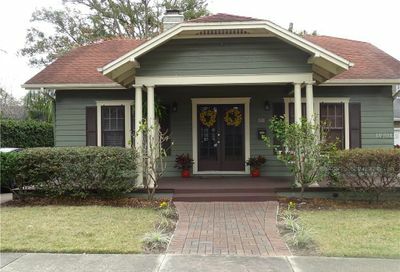 Walking distance east of downtown Orlando is Thornton Park, one of about five neighborhood enclaves of the downtown area. While the historic community has been part of downtown Orlando dating to the 1880s, this community was revitalized in 1988 and now is one of downtown’s most exclusive neighborhoods. Thornton Park has a hip, cosmopolitan, urban vibe with quaint cobblestone streets paving paths to historic homes and modern luxury condominiums. There are approximately 300-350 homes not including new luxury high-rise condominium homes. According to the 2010 Census, there were 15,798 residents, and 18,678 are projected by 2019. Median income within a one-mile radius of Thornton Park in 2014 was $37,885. Host City of the 2002 Winter Olympics, Orlando’s Howie Dorough of the Backstreet Boys proudly made his way around the park carrying the Olympic torch in this leg of the relay. Orlando may be considering another bid for future games. Thornton Park’s amenities include close proximity to downtown night life, stadiums, arenas, attractions, Sunrail, Amtrak and Orlando International Airport, but it has its own events and places to be proud of. Enjoy fine dining, exclusive restaurants, high-end shopping and an active lifestyle twenty-four seven. Several public and private schools are located here, as well as satellite campuses for UCF, Valencia Community College and Florida A&M University Law School and School of Medicine. The Orlando Public Library, Florida’s largest public library building at 290,000 square feet, is a few city blocks away. Beautiful, vibrant Lake Eola is home to five breeds of exquisite swans numbering about 70 residents together. Lavishly landscaped and meticulously maintained lawns wrap 43 acres around a lake. Walk or jog the mile-long paved loop. Practice your Yoga where you please or meditate in the Japanese Pagoda. Room for children to play and feed the swans. Rocking chairs, some for two, wait on the wood deck overlooking the spectacular landmark Linton E. Allen Memorial Fountain in the center. The Walt Disney Amphitheater at Lake Eola – Concerts, movies, plays, Shakespeare in the Park, The Nutcracker by the Russian Ballet of Orlando. 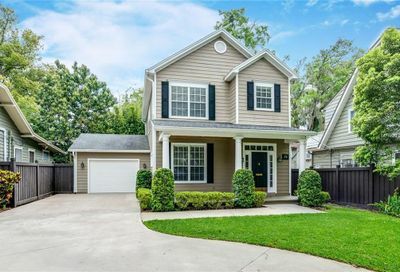 Whether you relish an active, 24/7 lifestyle or prefer to be savoring moments rocking stress away on the deck at the lake, whatever your pace on a given day, consulting with a savvy, knowledgeable real estate broker is a must to find the most exclusive Thornton Park home to call your own.